ዛዲግ አብርሃ – የነገሪ ሌንጮ “ምክትል”? “ጥልቅ ተሃድሶ” በጥልቅ መበስበስ ይቀጥላል! I am a frequent visitor to your page. I sometime get it boring when you evaluate individuals through ethnic prism. The question must be ” is the individual, honest, unbiased, dedicated himself to democratic principlies, committed to doing the right thing and change. There are lots of people who admire the late PM. I am one of them. That does not mean I embraced his political view and practice. But I used to like the way he used to present his cases and argue his positions.It was my wish, he was able to use that capability honestly to the welfare of the Ethiopian people and country. In short I did not find the assignment objectionable as long as those guys have the experience and educational credentials. You said, “you evaluate individuals through ethnic prism” – well we do not evaluate people like that. In fact, if you read the “about us” section you’d understand that we value humanity first before any creed, ethnicity, origin, color of skin, … However, it is TPLF which is doing that ever since it usurped power from the people of Ethiopia. And it’s still going on. It is them who give priority to ethnicity than merit or skill. It is Meles who once said “መሃይምም ቢሆን የኢህአዴግን ዓላማ እስከተከተለ ድረስ ሚኒስትር ይደረጋል” And as you know it, EPRDF is founded on ethnicity. By the way, Meles said this in response to Ato Bulcha who raised questions about the merits, skills and experiences of the ministers who were selected by Meles and brought to the parliament for confirmation. Again thank you for your readership – we value it. I appreciate and am very happy about your effort for clarifying the matter to me. I really do not know anything about both individuals. I rarely watch EBC, I see their faces a couple of times on my TV window. I never noticed what each had been talking about. I have good and mutual friends working for the ruling party’s government, who are uncomfortably angry, burning and bleeding inside like any of us with about what the party officials are doing. However, they need to keep quiet, until a conducive time, because they have family responsibities and life to lead. That is why I do not like to generalize things picking a single tread. A couple years ago I heard about fascinating thing called ” political Tacco “. I guess tacco is an Italian word for a wooden or metal block that is put behind the rear wheel of a truck to prevent it from rolling back, particularly when there is a heavy load. I am a truck driver. whenever I park my truck and not sure about the reliability of the manual and engine breaks, I always put that TACCO thing a few inches far behind one of the rear wheels. When I come back after a couple of hour and find the TACCO deep under the wheel, that tells me it is time to get the brake be replaced or repaired. The utility of the TACCO is not only supporting the rear wheel and prevent the truck from sliding back, it also spies on the brakes, and report how bad they are. That is a mechanical form and classic art of controlling. I knew some individuals being framed as TACCOS. You could be right. They guy can be anything. I honestly admire your response. Dear Lusif, Just follow the pattern. No excuses for ignorance. Workineh Gebeyehu was appointed to replace Tedros Adhanom [a Tigrayan who never had training or experience in diplomacy]. 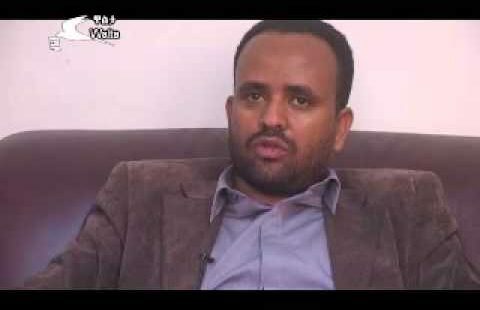 Workineh, however, was presented as Oromo when he is in fact Tigrayan who grew up speaking Afaan Oromo. His real name is Workineh Gebeyehu Woldekidan. He is now Workineh Gebeyehu Negewo. Do you now see the idiocy? And then Dr. Negeri was appointed to Ministry of Info to appear there is fairness. It was well known Dr. Negeri was not competent for the post. A month after Negeri’s appointment Zadig [a Tigrayan] was brought in as his deputy. Someone competent could have been assigned from the start. How much goodwill and resources that could have saved for the poor nation! That is Meles’s strategy. Do you now see how Tplf is running the country down? All the chaos and corruption we see today is of course the legacy of Meles.